Playing games with letters makes practicing so much more fun–especially when kids get a chance to move and learn at the same time! That’s why we love these lower case letter games so much. Each kid grabs one of our many buckets and tries to find as many hearts as he or she can. We basically use this as the start of our activity because they love looking for them! 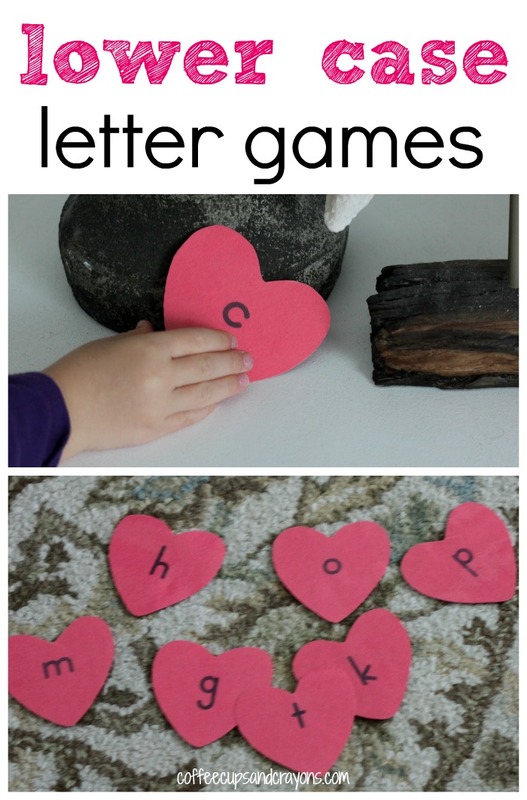 Preschoolers don’t even know they are practicing letter identification when they find and match the corresponding red and pink letters together. This is fun to do after a hunt. Sometimes I even only hide certain letters I think one of them may need extra practice with. 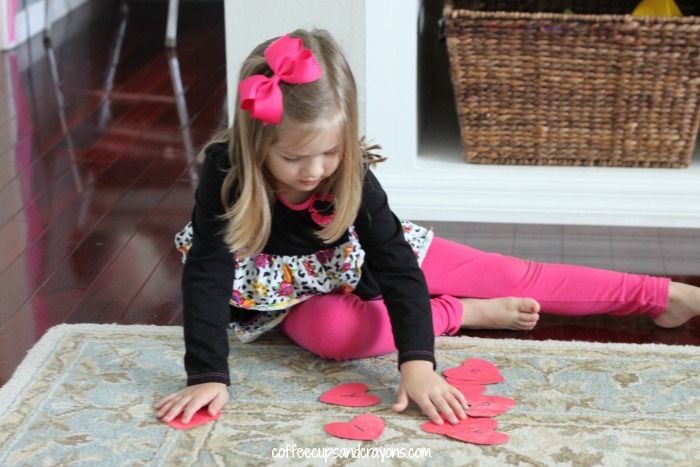 Choose a bunch of letter pairs to play with and place them face down on a table. The kids take turns turning over letters to find matches. You know the drill. The kids can put the letters together to form words. 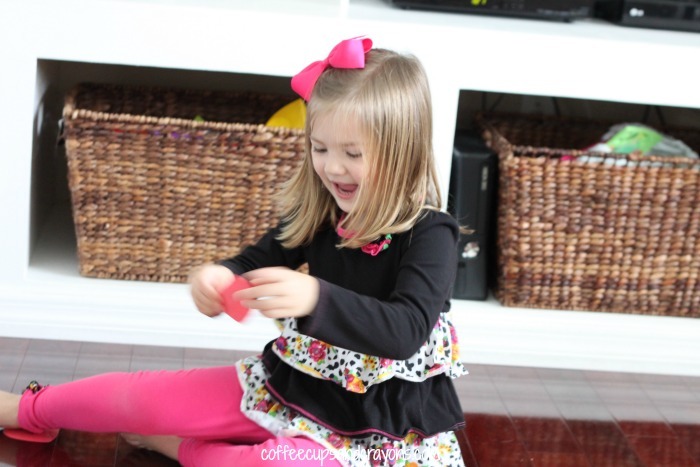 With 2 sets of cards there are lots of CVC words that kids can make and practice sounding out. Older kids can also see how many sight words they can make. This game can be easily adapted to practice numbers, words, and even be made with different holiday shapes! Very true! You could always use clip art to make a tracer or even buy a pack of those heart shaped die cuts they have sometimes at the dollar stores.